I said "yes" to a very bright neon orange high-low ballgown! 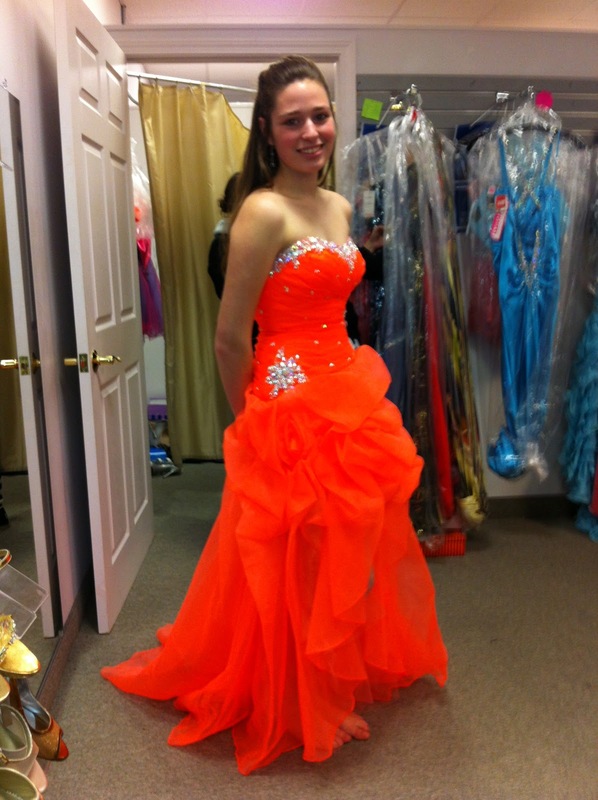 Since the photos at the dress store were taken with my phone the color isn't well represented, it's definitely a much prettier and brighter orange if you were to see it in person! The funny thing is that this isn't the type of dress I pictured buying at all (Nor in the budget that I hoped to buy from, but that's another story!) I only found this dress because the girl in the fitting room next to me tried it on and didn't want it. My mom told me to try it on for fun and it fit perfectly! 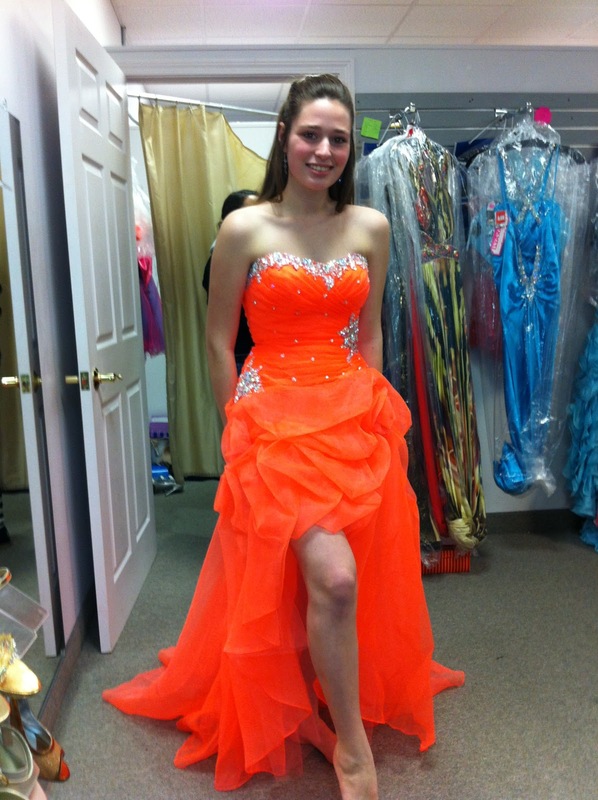 I knew I had found the most beautiful and perfect senior prom dress. So the moral of my little dress story is a.) 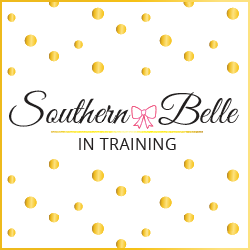 whatever type of occasion you're dress shopping for, don't be afraid to try something out of your comfort zone. When I say that I don't mean something that's immodest, but what I do mean is a color that you might not have pictured yourself in or a different style. You could surprise yourself! And b.) treasure these special shopping moments. 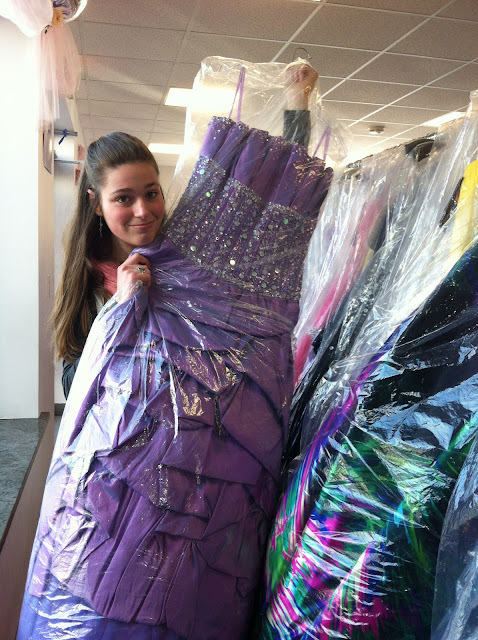 Whether it's an Easter dress, prom dress, or your wedding gown, the shopping experience will be over in the blink of an eye, and it's definitely something that you'll want to remember. 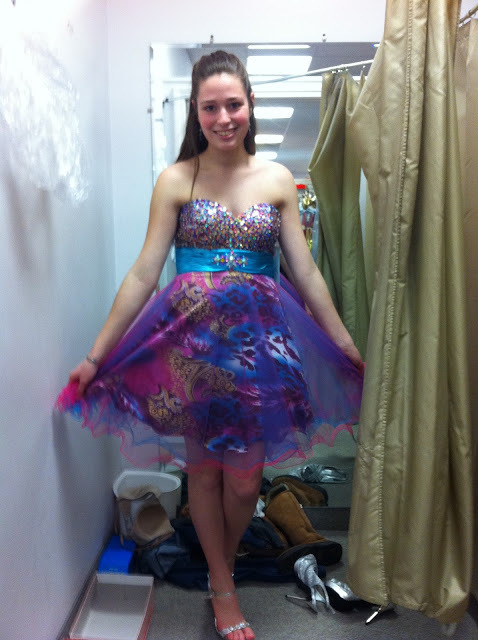 To be honest I think I enjoyed the whole prom dress shopping process more than prom itself! What's the next event that you'll need a beautiful dress for? For me it'll be my college's upcoming spring dance! I love that first one! And, the one you picked looks wonderful on you. I could never do orange though, clashes with my red hair. Aw thank-you so much! And thanks also for the Liebster award!